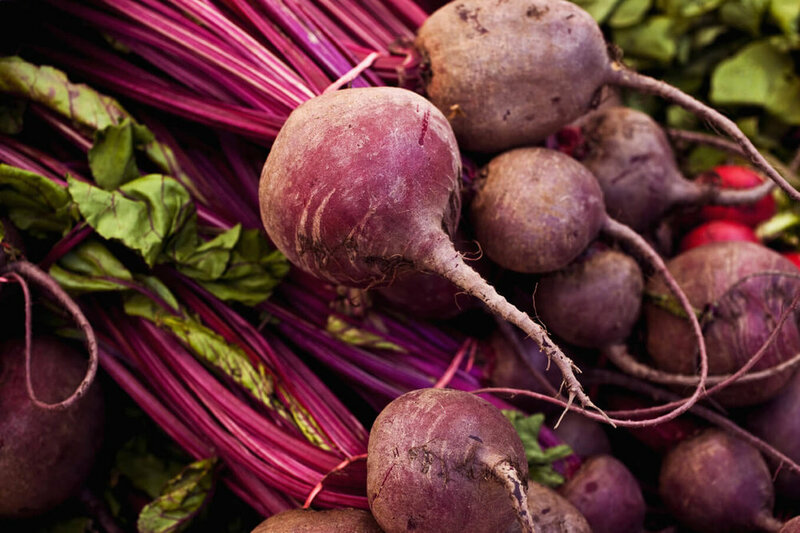 Yes, it's December, and this amazing produce is showing up at our farmers markets! How, you ask - hoop houses - plastic covered growing tunnels used to grow hardy veggies even in these wintery conditions. And, why "Robert's Cabbage"? Well in my house veggies tend to take on the name of the farmer that grew them. Today I'm cooking up Cabbage and Kale Soup with Farro, and I'm using cabbage from Robert at Down to Earth Farm, Robert's Cabbage! The recipe also includes "Birgit's Onions" from Kimberton CSA, and "Trey's Kale" from Two Gander Farm. I encourage you to name your produce after the grower - to make the connection to where your food comes from - farms, not factories. Cabbage is in season right now, and the growers wanted us to highlight recipes featuring this cruciferous veggie. Cabbage is low in calories, a good source of vitamin C, fiber, and phytochemicals (good for you!) to name a few of it's nutritional attributes. Today's recipe features Napa cabbage, a Chinese variety. The recipe calls for Savoy cabbage, but the Napa was a fine stand-in. Our recipe is from Food and Wine, Cabbage and Kale Soup with Farro. There are some unique ingredients in this recipe. Anchovies - the recipe calls for anchovy paste, but I used anchovy filets - they melt into a paste when heated. Please don't omit the anchovies - they add so much flavor - not fishy, just a richness that you will lose if you omit them. Farro is the grain highlighted in this soup - it's an ancient wheat variety, similar to spelt, and full of nutty flavor. I prefer the semi-pearled variety for ease of cooking. The recipe calls for pancetta, an Italian bacon. I substituted regular bacon from Wyebrook. This is an Italian soup and calls for parmesan rind - that's the exterior rind of a parmesan wheel - adding it to soups really enhances the flavor. And lastly, I used 2 quarts of my homemade turkey stock for the soup base. This soup starts on the stove top, but finishes in the oven. For the full recipe please click here. Ahhhh, after yet another cold day of shoveling this soup was perfect! I served it up with a salad of Robert's Radishes, Birgit's Kohlrabi and Trey's Red Beets topped with a buttermilk dressing. The dressing used 2 scallions - Robert's Scallions! Buttermilk dressing is really a light choice for salad dressing. Despite the name, buttermilk is typically available only as lowfat. It is far less in calories than most oil based dressings. What a healthy dinner! What else to do with Napa cabbage - try the kimchi recipe from the spring - fermented deliciousness. Tomorrow I'll be trying roasted cabbage, stay tuned!